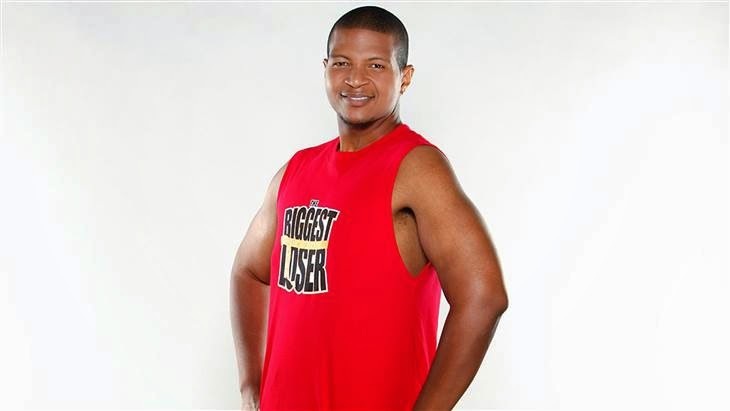 Do you watch the popular television program The Biggest Loser? If you do - please go away and die. You are feeding the Cyclops, and you must suffer the consequences. I mean it. The universe has no room for you. Please leave a note on your corpse admitting your shame, so we will know to desecrate your body before we burn it. Thank you. If you know of the program, but you refuse to waste your time on such nonsense - I applaud you. Please read on. There's tragic news about one of "The Biggest Loser's" past contestants. Damien Gurganious has died. "Damien suffered from the sudden onset of a rare autoimmune disorder, Idiopathic Thrombocytopenic Purpura (ITP), which caused inoperable bleeding in his brain," his wife Nicole explained in a Facebook post. Both Damien and Nicole are familiar to viewers of the reality TV weight-loss competition. While engaged, they competed together on "The Biggest Loser: Couples 2" in 2009. Damien was eliminated from the competition in week three, but still came back with his own personal victory on finale night, having dropped 136 pounds — doing most of the work at home. Before I go further, allow me to state that I find this ITP diagnosis suspicious, and I honestly do not believe there was not some underlying condition like HIV or HEP C infection that is being ignored in favor of a more obscure diagnosis. Next, allow me to say that anyone who tosses away what little dignity they may have by going on a program bearing a name that overtly mocks their socially unacceptable rotundity deserves an early grave. And in closing, allow me to declare that you cannot turn away the fates. They have determined when your thread will be cut. Fat or thin, fit or failing, your time is up when they say. And that is what makes this story so delightful! How many fat-hating morons told Damien Gargantupotamus (or whatever his last name is) that getting in shape was his ticket to longevity? Ha! Genetics is the key to your longevity, and incidentally, the key to the success of our White Western Civilization. It is a shame that people are so ignorant of this reality. Today's Counter-Propaganda: Black "Power 2 Act"